Super focus mode version with biz essentials, don’t need all the apps, just email and nothing else. We use an easy secure checkout system with FastSpring powered by Norton secured by Verisign. If you’re not fully satisfied with Mailbird within 14 days, we’ll refund 100% of your purchase price! Why isn’t Maibird Pro free? It takes intense dedication, time, and resources for our team to bring innovation and productivity to your email experience. We dedicate ourselves to making Mailbird a valuable and essential tool to help you stay productive, every day. We understand concerns of over paying for any app, so we keep the cost of Mailbird Pro as low as possible. In fact, the cost of Mailbird Pro is significantly lower than many of our direct competitors. We care about our customers and treat each and every one of you as part of our family. By paying for Mailbird Pro, Lifetime or Business products, you are helping us build the greatest and most innovative unified email application ever. The best unified productivity experience! We stop at nothing innovating, inventing and creating the best email experience ever.  You are a major part of supporting an ecosystem for productivity and innovation, right from your inbox in Mailbird. Mailbird Pro helps you manage email in less time. Free up several hours in a day, by bringing all your accounts and apps into one with Mailbird Pro. Best of all, for small teams and businesses…today you can start cutting down on wasted time, and boost productivity by making the switch to Mailbird Pro with your entire team. See how quickly hours of productive time add up as everyone in your office spends less time and stress managing their email.